I have included UT3, even though it is another UE3 game as it is a fast, frantic and furious multiplayer mash-up experience. Using advanced DirectX 9.0c features, the Unreal Engine looks fantastic and runs on almost all half-decent modern GPU's making it an ideal all-round test. 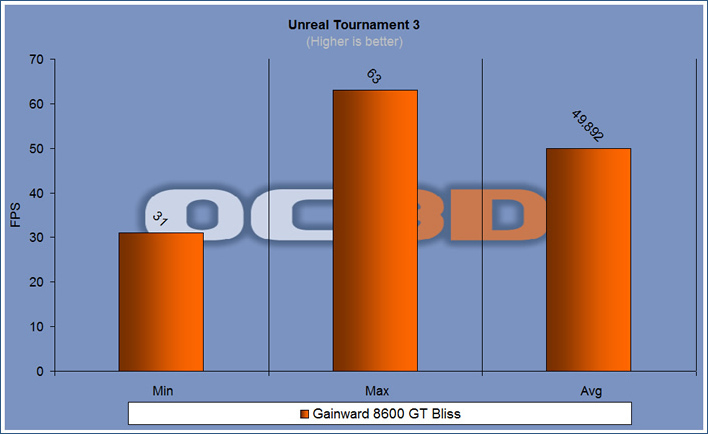 UT3 again showed a playable level at 1368 x 768 with no in-game lag at all. 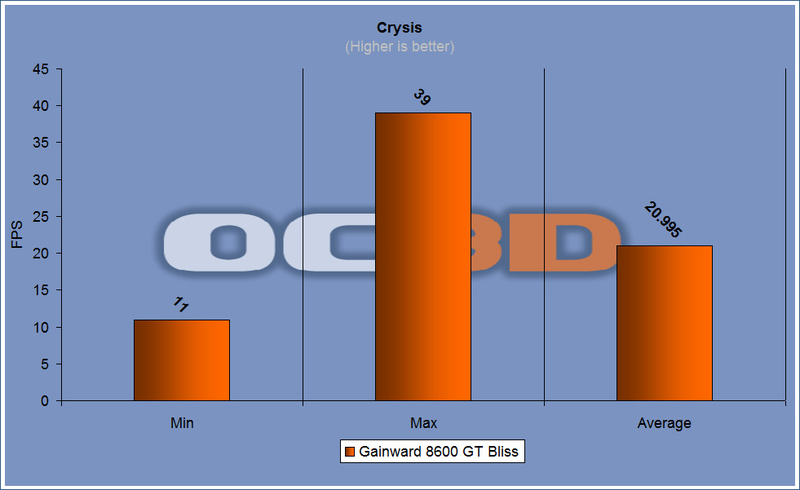 Crysis has to be our most challenging benchmark to date. Running under Windows Vista and using DirectX 10 path, Crysis was played at 1368 x 768 on "Medium" settings for this not so fast card. Crysis on medium settings at 1368 x 768 was laggy at the points where combat came into the game. As this is the most advanced game in our tests this is slightly disappointing. I could be wrong here but when you say the increase of the overall 3DMark 06 results when overclocked is 200... Is it not 1000 ish? ?